Lock screen apps are useful for gaining access into the home screen of a phone. This can be done by various methods in which you can specify including PIN, password or a gesture that corresponds to unlocking the device. 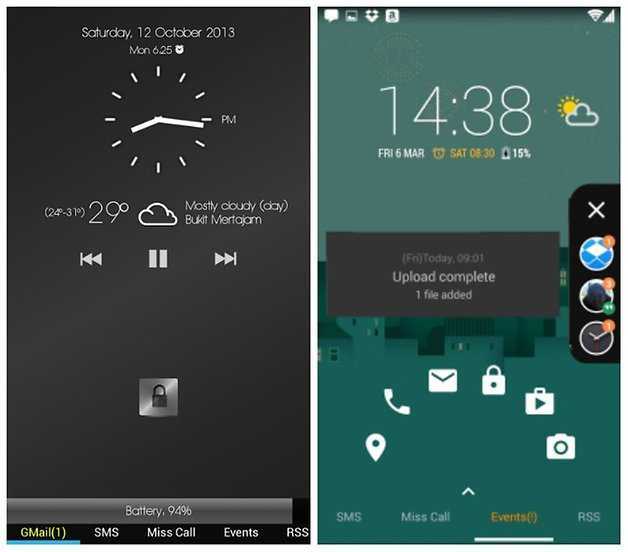 Many of these lock screen apps come with themes with with you can give your lock screen a personal look. This app is one of our best as it ranks high in the rating of Google Play Store. It works well on over 8000 different phones and has almost 100 million downloads. Featured in GO Locker is a lock home button, a large database of high-quality themes covering a wide range of styles, settings shortcuts and system switches. GO Locker also allows you to read your messages straightaway from your lockscreen, and clean up apps that are running. It has plenty offers in the free version and it does not contain ads. AcDisplay is one of the most popular lock screen apps that has also earned itself as one of the the best lock screen app. It is designed to look like the always-on lock screens of devices like Moto X, Galaxy S8, and other. You can access notifications without unlocking the display of your device. It also includes customisation options. For example, it is possible for you to set it to work at some certain time to save battery life. AcDisplay is best for older device because most new devices come with stock lock screen that is similar to AcDisplay. If you are in search of a cool lock screen that displays more of notification that you would prefer, then this one is definitely for you. It has been many people personal favorite for some time. It features many options that you can use to give you lots of customisation. It can give you enough ability to make your lock screen truly yours. Previously, lock screen apps consume much battery power that it drains them but that does not happen anymore. Echo Notification does not drain battery too. 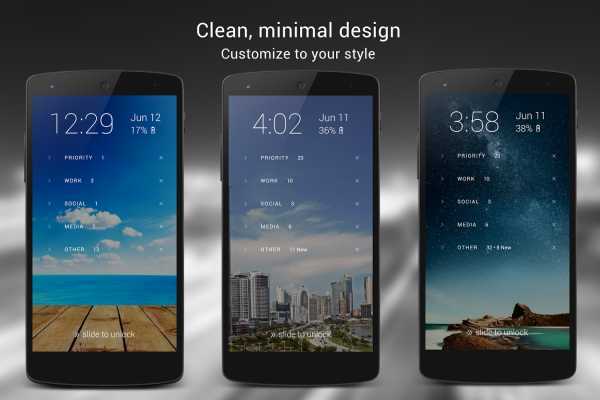 Hi Locker makes it as one of the best lock screen apps for Android. It shows weather, notifications, calendar events, and so on. There are different ways to customise it which includes custom greetings, different fonts, and automatic wallpaper changes. Get greeted by funny quips and greetings. Fingerprint supported phones can also work with the app. The app can also set wallpapers automatically from Flickr. This locks more than home screen as you can also look apps , photos and more with it. We’re more interested in the lock screen element and users can secure their phones from intruders with the help of various lock types including passwords, patterns, PINs, and slide-to-unlock, or even fingerprints on devices that support this. You can choose from different themes and styles available as you customise it to your personal taste. You can also view messages on the lock screen from messenger apps without unlocking your device.